As promised, a veg post at last. I have been saving the veg for this week because I will be going to the Grow It Yourself Gathering in Waterford this weekend*. So I will concentrate my mind on things edible as best I can. 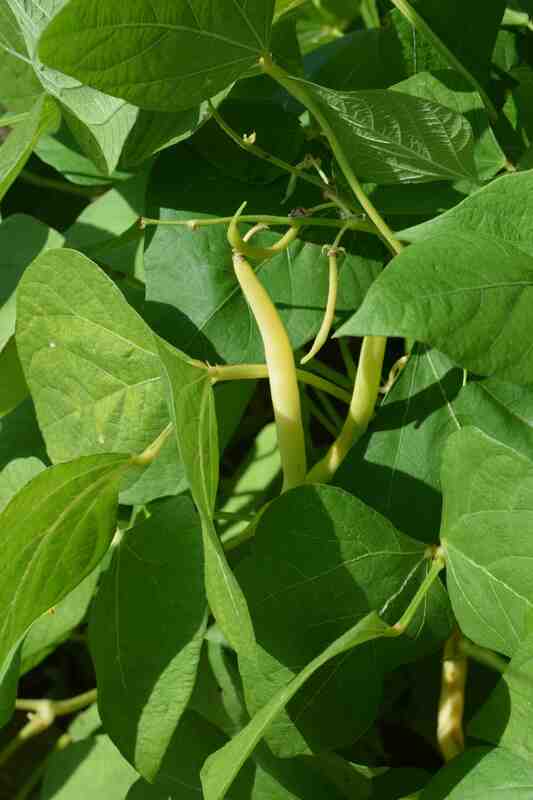 So here is a dwarf French bean. Called ‘Hildora’, this is a compact variety with pale flowers, green leaves and yellow pods that start greenish but become primrose yellow when big enough to eat. The seeds were sown direct where they were to grow, in June. For some reason I had odd germination this year and in two seemingly identical beds I had 100% germination and 0% germination – I really can’t figure it out! Anyway, the plants that grew did OK. I have been picking for a few weeks now so the photos do not show the profusion of pods on the plant. 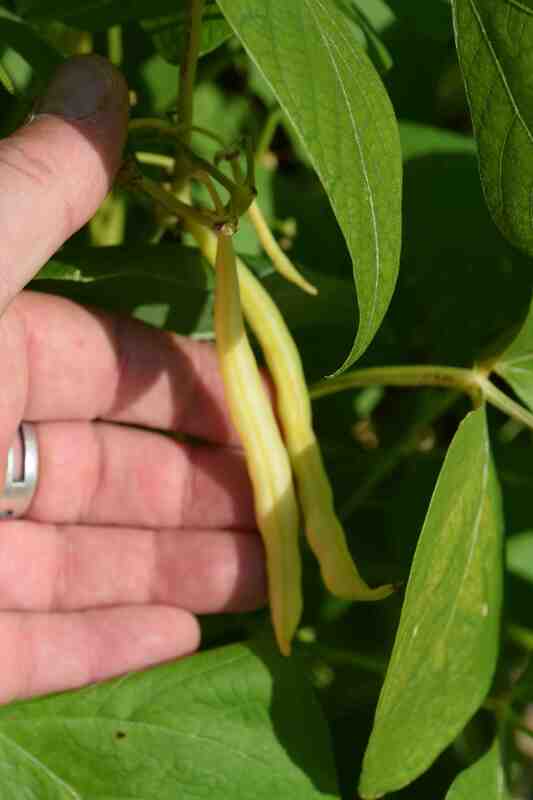 The slim, stringless pods are about 15cm long when ready to pick and quite straight though they get thicker and curl a bit as they mature. It may just be me but I find that yellow beans have a nicer texture than the green or purple ones and taste good. After this trial, through a pretty cool August following a hot July, ‘Hildora’ has passed the test with flying colours. 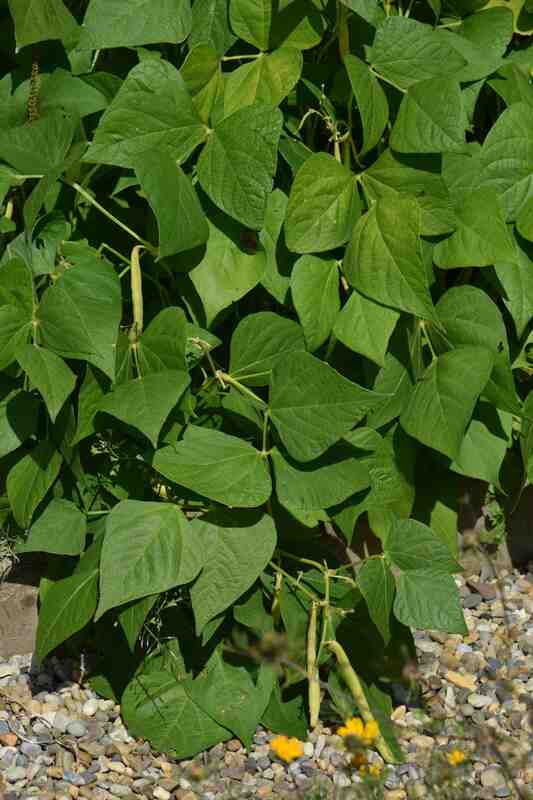 It is prolific and tasty and the coloured pods make picking easier than looking for green beans among the foliage. I would recommend it.